When expecting a baby, one of the first things you will have to tick off the checklist is the crib. It’s probably the most important baby product you will have to think about because that’s where your baby will spend most time during the first few months of his life. You shouldn’t let this decision on the back-burner, because together with the right mattress, it represents a the most important part of a safe, healthy and comfortable environment for your newborn. Considering the importance level, you might want to learn a thing or two about cribs for babies before deciding on a certain model. In this guide we’re going to take you through all the important aspects of buying a crib, and we’re also going to take a look at those that we found to be the best baby cribs on the market. The crib is the primary environment for the first part of your babies life. They come in many shapes, sizes, materials, quality and functionality. Obviously their primary mission is to offer your child a comfortable and safe environment to grow and develop in a healthy manner. Most of them have brightly colored upholstery and basic or light colors. Some studies show that babies develop cognitive abilities a lot faster when they’re exposed to different shades of light colors. Gone are the days of few choices. Now you can choose between various types of baby cribs, like: round-, sleigh- or rocking-type cribs. Most of them are made of either wood or metal, but you should check if it doesn’t contain any high risk elements that could affect your baby’s health. Most models, though, are checked for security before being released on the market, but it’s still a good thing to be sure of an important aspect like this one. One of the most important parts of baby cribs is the mattress. If the crib you decide on will come with an included mattress, make sure that it fits perfectly. If you have to buy a mattress separately, check its dimensions and once it ships, make sure that there’s not a bigger distance than 2 fingers between the edge of the mattress and the frame of the crib. Pay great attention to this aspect, because if the mattress is too small for the crib, the child might get trapped inside. You would want to avoid this scenario by all means. As the name implies, standard cribs are the most basic type of cribs. They have a rectangular shape and they’re used for toddlers of up to 2 years of age, most times. You can find many models that fall under this category, so there’s not a shortage of color and style of this type. Most standard models had a drop-side until the summer of 2010, when they were banned due to high safety risks. Most of the standards cribs that you can find now have fixed sides. 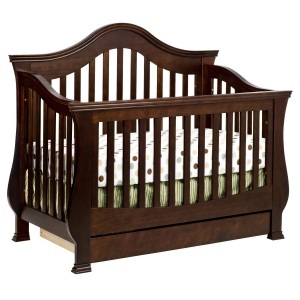 This types of baby cribs represents more of an investment. There are some models that are closer to the higher price end, but that’s not why we see it as an investment. The main advantage with this type is that you can adjust height and size as your kid grows. This type of cribs offers the safety and comfort a newborn needs, and then, as he develops into a toddler, you can change it into very stylish and comfortable bed. The fact that don’t have to buy another bed when your kid grows bigger, makes convertible cribs a high value for money option. These cribs have canopies on top of them. Truth is, this accessory might be a nice addition, especially for newborns, because they create a cozy environment. On the other hand, the materials used to manufacture this type are not necessarily one of our favorite choices. And also, you’ll have to remove the canopy after 4-5 months, because that’s when your baby might try to reach for it, trying to climb out, and possibly getting hurt in the process. If you have a small place and fitting a regular size crib might seem pretty difficult, then round cribs could be a choice for you. You can find some models that look really stylish, and some have canopies as well. Being compact, is as much an advantage as a disadvantage, because once you’re kid reaches about 35 inches, you will have to change it for a different type. Round cribs don’t have the ability to be extended to a toddler bed. Most of them have a diameter of around 45 inches, so you’ll probably have to look for a bigger bedding solution pretty fast. As their name implies, these cribs are easily portable. They have wheels for increased mobility and a design that let’s you fold it, for easy transportation. A nice feature of this type of cribs is the fact that they have attached wheels, for increased mobility, and enough space for up to 4 mattress levels. The fact that they combine an appealing look with increased functionality is why they are highly appreciated by parents who take frequent trips. With these kinds of products, making the best choice is something that always takes time and effort. Doing some research is a must when you buy your baby something that you can consider a second home for the most vulnerable period of his life. We’ve done the hardest part of the work, looking at various models to find those that we we thought to offer the most value for money. The top 5 below are not selected based on price or any other singular feature, nor are they listed in any particular order. There are other dozens of models available, that you might like, but we decided to include only those that we thought to be the best baby cribs. 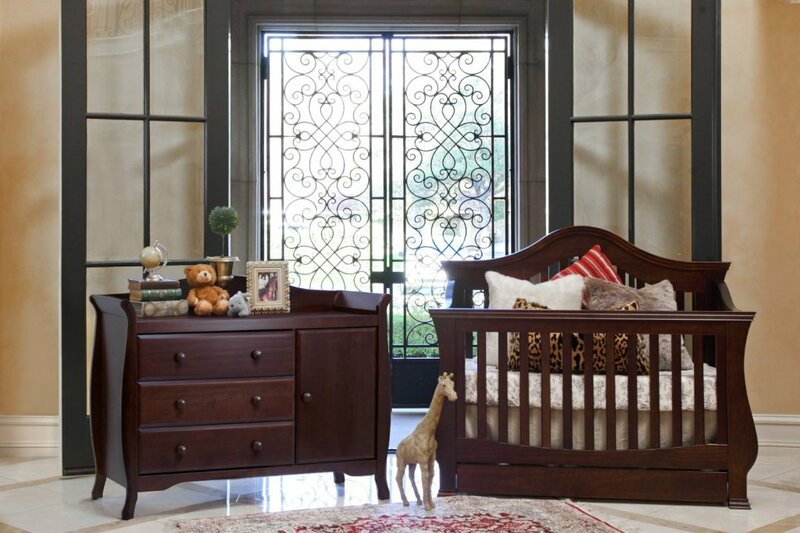 The Million Dollar Baby Classic Ashbury 4-in-1 Convertible Crib is definitely one of the best options out there. Right from the start, it has a really elegant design, that makes for an exceptional addition to any nursery. 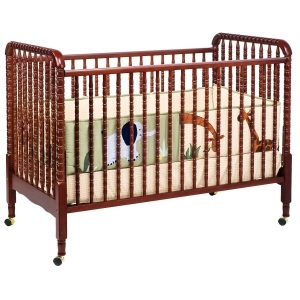 One of the biggest advantages of this crib is the ability to be used for a prolonged number of years. Its design makes it possible for you to convert it into a toddler bed, a day bed and a full size bed, without too much hassle. 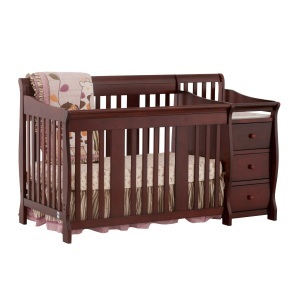 The Babyletto Hudson is one of the best rated baby cribs online. There are several reasons why parents love this crib. It’s also convertible, into a toddler and daybed, but what most parents liked about this model is the sturdiness of the built and the fact that it is easy to assemble and safe. Some parents liked it so much that they bought a second one, once they had a second child. It’s eligible for free replacement parts, if you buy from Amazon. One of the most important deciding factors when buying anything is value for money. It’s safe to say that the Stork Craft Portofino 4-in-1 Convertible Crib is excelling in this aspect. Eligible for free replacement parts, if you buy from Amazon. 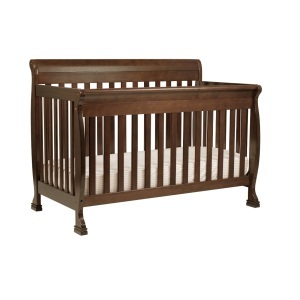 The DaVinci Jenny Lind Convertible Crib is one of the best-selling baby cribs. It’s also one of the most popular models, receiving high ratings from most parents. 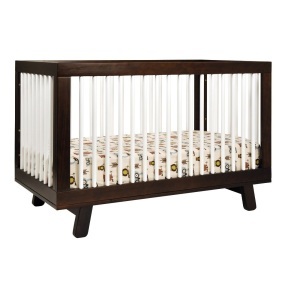 Most parents who bought this crib for their babies loved the retro style and the fact that it’s made from New Zealand Pine, which looks nice, is durable, and besides, is sustainably grown and forested. It’s eligible for free replacement parts, if you decide to purchase from Amazon. The DaVinci Kalani Convertible Crib made it to our list because we found it to be a great choice for parents looking for a more affordable but still high quality option. Eligible for free replacement parts if you purchase from Amazon. There are so many options in this category that making the best choice might seem somewhat overwhelming. Most parents don’t know where to start, and if you feel the same, you should know that this is normal. You can’t know everything, and it’s so much more confusing when the product range is so varied. After doing some research on every aspect of the best rated baby cribs, we found that there are some guidelines that you can consider when looking at these products. Safety. This should be your primary concern when looking for a baby crib. Make sure that all the legal safety measures have been met by the manufacturers. Analyze, in detail, every aspect and double-check anything that you might find to represent any kind of risk to your baby’s safety. Durability. Another important aspect that you should take into account is durability. Babies grow a lot, especially in the first years of their lives, and if you don’t think in perspective, you’re probably going to have to change the crib as he grows. You will end up spending a lot more money than necessary to offer your kid the highest level of comfort and safety. You should think of this as an investment. If you go for a versatile crib that can convert to a toddler bed, you’re making a successful investment in your child’s quality of life. A convertible crib is probably the best choice if you plan on using it for multiple years. Functionality. When buying a crib you should always check for any useful features that you and/or your kid could take advantage of. For example, whether you’re browsing cribs online or in brick-and-mortar stores, check for features that offer much convenience, like the ability of one of the sides to come down easily so you can put in or take out your baby without experiencing any difficulties. Another useful feature of some models are storage spaces built into the design of the crib. Basically, you should make sure that the crib of your choice will make your and your baby’s lives better. When you decide to buy a baby crib, the best thing you can do is to look at the wide range that you can find online. There are several advantages of buying baby cribs online. Besides the fact that they ship right to your home, and save you of a trip to the store, you can usually find better prices online. Another great thing when buying online is that most sellers and companies offer money-back guarantees and the ability to return the product in the first weeks if you notice that it’s not up to the standards that you expected. You should do some research before deciding which one represents the best choice for you. And with the wide range of options available, you’re more than sure to find just the right model.